Expert colour blending for a even finish. 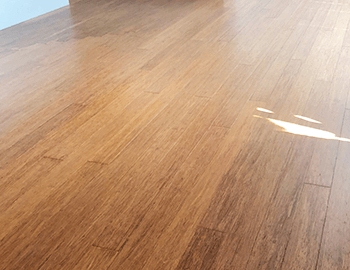 The ideal non-sanding alternative for worn floors. 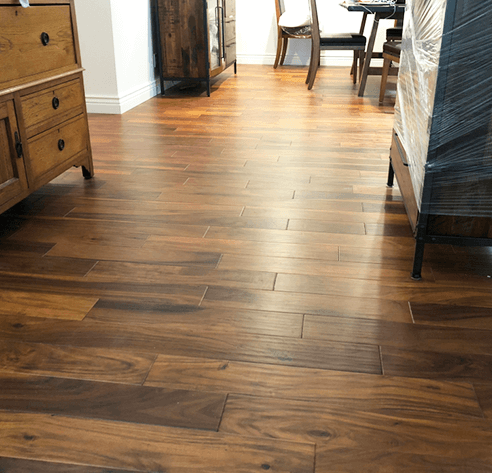 Do you have picture framing sun damage and mismatched colours on your wood floor? Our colour blending system will even out the colours on your floor and can even change the tone and appearance of your floor. Concerned about scratches? Our refresh service will remove light scratches and minimise bigger scratches whilst a restore service will remove all but the deepest of scratches. Regular cleaning with detergent or wax based products can leave a “blotchy” looking residue or dark wax build up. 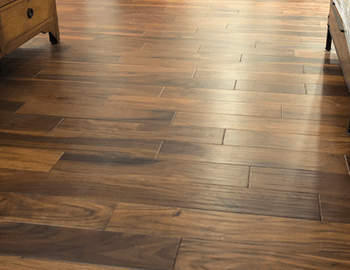 These can be removed with our cleaning system that’s designed to leave your floor residue free. Have you got a few worn patches on your floor? Get them restored without the cost and inconvenience of sanding. No sanding dust, non-toxic, odour free. 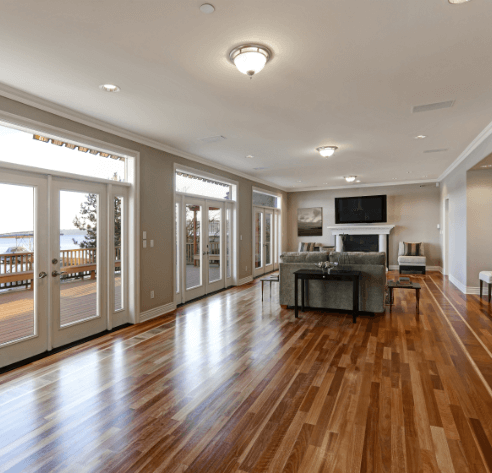 Durable, long lasting wood floors that will last a life time if correctly looked after. 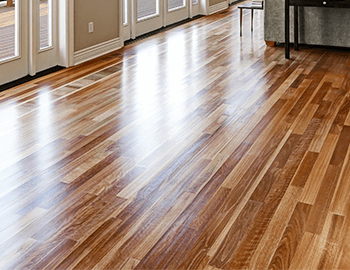 Hardwood floors can usually be sanded between 3 and 5 times in their life depending to type of wood and construction of the board. 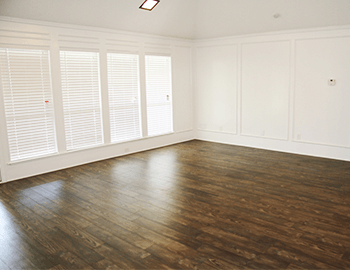 Durable floor boards constructed from bamboo, glues and resins. The coating is very durable but usually shows signs of significant wear after 8 – 10 years. 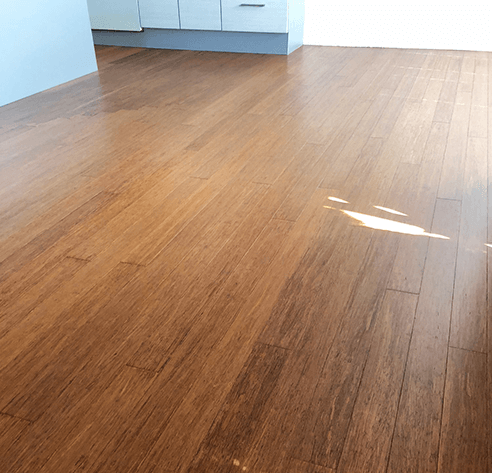 Manufacturers recommended that bamboo floors not be sanded as the bamboo fibres may become fuzzy when sanded, ruining the finish. 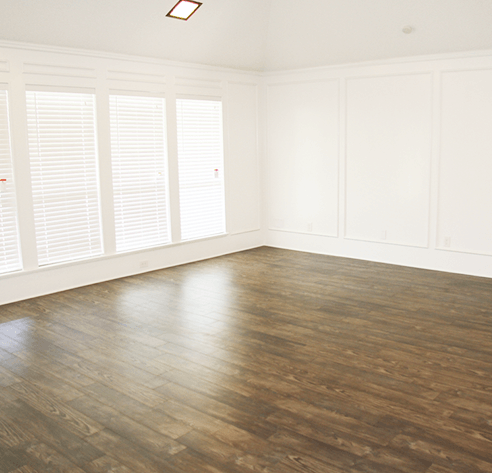 The incredible bonding abilities of our coating system means we can clean and apply a durable finish to imitation wood floor boards.